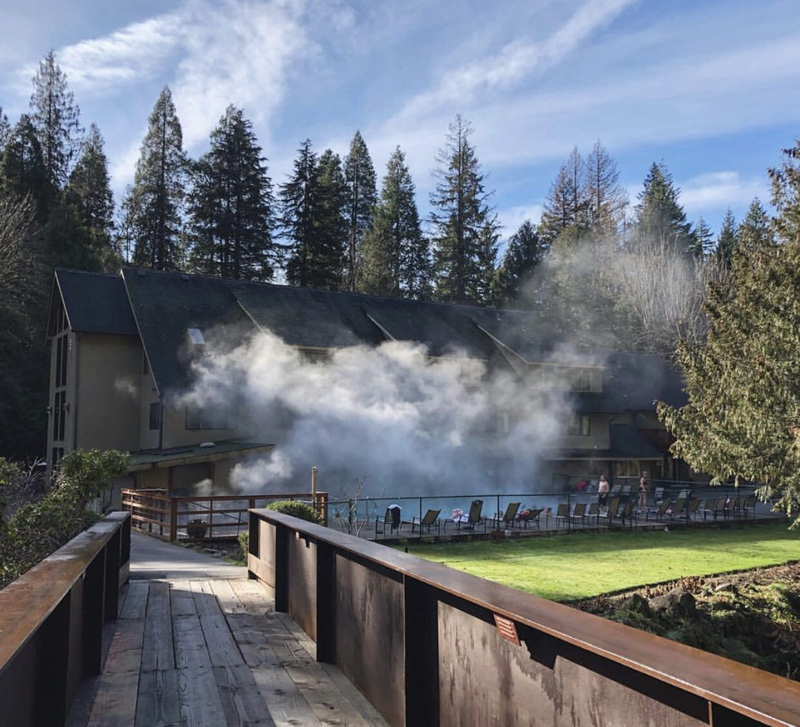 General Description: ​Belknap Hot Springs Lodge and Gardens is located along the McKenzie River in the Willamette National Forest in Lane County, Oregon. Belknap boasts two outdoor hot springs pools. This geothermal hideaway has an acres of amazing gardens that include an extravagant Secret Garden. This hidden hot springs gem offers accommodations that includes a lodge, cabins, RV and tent camping. Location: ​From Eugene, Oregon is 60 miles or about an hour to drive to the hot springs. 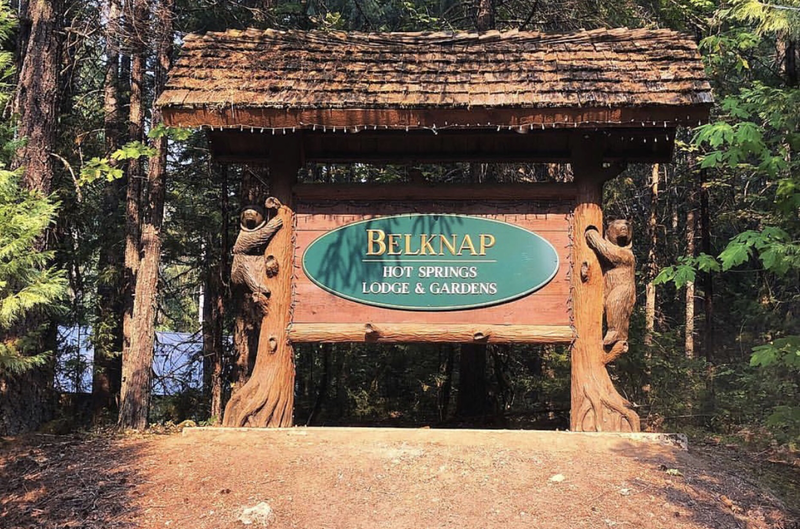 Accessibility: Belknap Hot Springs​ ​​​is accessible. Open 365 days of the year. You can drive up to the property. The hot springs are a short and easy walk from the property. This hot springs has limited handicap accessibility. Hot Springs: ​Belknap Hot Springs Lodge and Gardens has a source of over 200 degrees. The mineral water is piped to two outdoor hot spring pools. Both hot spring pools are kept at a temperature between 102-104 degrees. The geothermal mineral water is treated with chlorine. The water is not all natural. Clothing is required. Bring your bathing suit. Hot Spring Tips: ​Belknap Hot Springs Lodge and Gardens offers day use for non guests. Guests with accommodations have all access to the hot springs. The upper pool is for overnight guest only. The lower pool is for day use as well as lodge guests. This hot springs resort is open all year. Belknap is pet friendly. No dogs in the pool areas. Clothing is required. Bring your bathing suit. The gardens are an amazing feature of this hot springs. If you love gardening this is your hot springs. Youtube Video on Belknap Hot Springs is below.